Your sound engineer will guide you through the recording process helping you to achieve the best possible results . During your experience the engineer will mix your tracks taking the best parts from each take to create the best version possible then add effects to enhance your vocal. 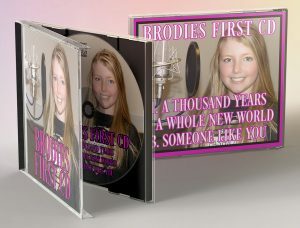 you will receive your own personalised CD’s a few days later. we would also recommend bringing bottles of water. Please select your tracks from our song list, If you cannot find the track your looking for contact us and we will do our best to get it for you. Please enter the name you wish on the voucher in the comments box when ordering.